The Governor’s Veterans Day Ceremony was held on Saturday, November 11, 2017. 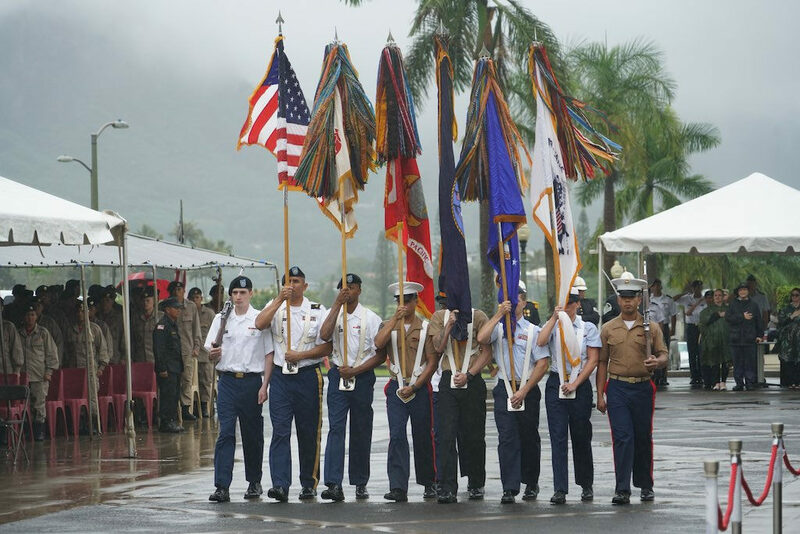 This annual event is held at the Hawaii State Veterans Cemetery in Kaneohe. There were representatives from all branches of the military and many veterans organizations. Keynote speaker was Governor David Ige. Special musical guest is ukulele virtuoso Dan Baduria, a Hawaii Air National Guard member who serves in the fuels section. Special thanks to Director Ron Han and the Officer of Veterans Services staff for their hard work planning this event. « Colds and Flu: What’s True?